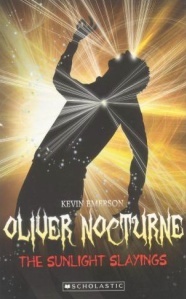 Oliver Nocturne finds himself reunited with Emalie’s cousin, Dean, who has returned as a zombie. Dean has information on something that is shaking up the vampire community – vampire children are mysteriously being turned to dust. Oliver and Dean reconnect with Emalie, and the three of them set out to solve the mystery and in the process encounter the Fallen Brotherhood, a human group fighting against vampires. And the Brotherhood has some news for Oliver …. If you enjoyed the first book, The Vampire’s Photograph, you’ll most likely be kept entertained with this second instalment. Oliver, Emalie and Dean are all back, yes Dean too. There’s plenty of rodent eating, unnecessary secret keeping and a little bit more insight into Oliver’s destiny. I’m not in the target age group so it did leave a lot to be desired for me, but if I were still a tween I’d be all over this. 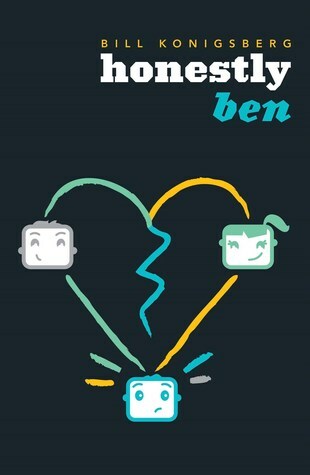 I read this book very quickly before going to bed. It managed to keep me up, so that’s a good sign. Having Dean back was a surprise, but a good one. I really didn’t feel like his character got treated very well in the first book. He was simply the scared kid tagging along with his adventurous cousin on her vampire expedition. So when he was killed off, I wasn’t too upset. When he reappeared as a zombie I was a little sceptical, but to my delight, he became a very fun character. Most of the book is spent with Oliver and Dean and their budding friendship as Dean now tries to adjust to his new lifestyle composed of rotting skin and the urge to eat small animal bones. Oliver has one problem though, Dean doesn’t remember that it was actually Oliver who killed him (yet for some reason Oliver can’t remember doing it). This leads to some more secret keeping, Oliver’s favourite pastime. The rest of the plot is spent with Oliver in pain over a stomach infection that he won’t tell his mother about and the vampire school kids who keep bursting from the seams with sunlight around him. The trip to the hidden vampire level of the library was probably the most interesting part. The idea of thousand year old vampires shackled along conveyor belts in dark corridors waiting to provide you with anything you want to know while you sit yourself on a cushion was probably the most inventive this book got. An organisation called “The Brotherhood” was brought in out of nowhere rushing an ending to tie up things ready for the next book. Another reveal in Oliver’s past is thrown in as well to bring you back for the next instalment, Blood Ties. With its low page count and big text I’ll probably keep reading to see how it plays out. Those who enjoy good clean tween fiction and friendly vampires. Romance = zero.